7 Selling secrets When listing your home. Seven Selling Tools You Need to Know! The Tom Brewer Gold Team will be committed to selling your property with outstanding service, availability and marketing. Here are a few tools to follow that will create a seamless and successful transaction when selling your property.While there are many more, here are seven tools to follow that are common mistakes of both Sellers and Realtors. We would love the opprtunity to discuss the marketing of your home. We are not a discount broker or cash inducement Realtor. We are completely focused on providing you with the tools and information you need to sell your home. 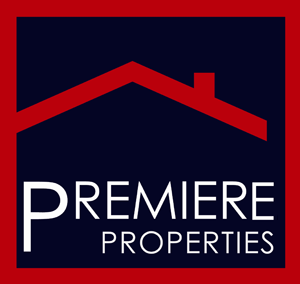 Expect only the best when you list your property with us! The stategy for years has been to list your property for a higher amount and negotiate to the desired price. This practice was employed for years by almost every Realtor and in some cases the Seller as well. Today's market dictates that this is a mistake. Your house sits on the market longer and Realtors are hesitant to show an over priced listing to their perspective buyers. Time and information to both real estate professionals and home buyers has created a completly different environment regarding the home search. Focus on correct pricing and staging and you will have excellent results and a seamless transaction. We do refinance appraisals for quite a few of our clients. The value is less scritinized by the lenders and the loan is usually done with lower loan to value ratios and lower debt ratios. The impact of a refinance lowers a payment and creates more favorable terms for the borrower. The borrower has already established a payment history on the property.In today's mortgage market world purchase appraisals are scrutinized by the lender and are held to different parameters. The only value that matters is appraised value as accepted by the lender. Please call for more details on the differences. Price may be the first measure of importance in selling your home however staging your home is a close second. Your property should be viewed as if you were the one that wanted to buy it. You would look for cosmetic flaws, repairs, cleanliness, pet odor, major mechanical problems and overall curb appeal when making a buying decision. These are critical. Remember you are dealing with stangers who are looking for any reason to negotiate your price. Proper staging leads to a more rapid sale and at a greater sales price. When your house is on the market there may be a time when you are home when a showing takes place. Never sell your propety to a perspective buyer. Buying a house is just as emotional as selling one. Always make sure to give perspective buyeer's their space and only answer questions that deal with basic information. Never "hard sell" your property as this may remove any original interest the buyer may have originally had. Tool #5 -- Never Try to Sell to "Looky-Loos"
Looky Loos is a term that means unprepared and unqualified lookers of real estate. The minute a sign goes in your yard, people who are out on a Saturday stroll will literally want to see your property. Most of the time you are talking to someone who either can't finance the property or who is 6-8 months out before they are ready to make a purchase decision. Know your rights and responsibilities before signing a listing agreement or a contract to sell. You need to fully understand that these document are legally binding and the un-informed seller can have many problems result from this lack of information. Make sure you are confident and detailed in your selection of your real estate professional and always seek legal counsel on legal issues. Your REALTOR® should be completely informed concerning internet marketing.The National Association of Realtors latest statistics show that over 90% of all home searches begin and end online.You should do quite a bit of research to make sure your Realtor has the technological skills in order to market your property effectively.Yor Realtor should be available day and night and have the cell phone stapped to their hip. You want to ensure that your choice of Realtor will be one that works in your best interests at all times. Let Tom Brewer list and sell your Fort Worth, Arlington and Mansfield Texas home. I will go to work for you. I am a true full time real estate professional and can answer all your questions about price, terms, possession, etc.